Thailand is becoming an increasingly popular destination for expats wishing to relocate over to the ‘Land of Smiles’ and this is understandable because Thailand is a pleasant and relatively peaceful country when compared to the hustle and bustle of most western countries. I have often heard American expats refer to Thailand as the South-East Asian equivalent of Mexico minus the crime. Not only is Thailand perpetually bathed in sunshine (sometimes overwhelming) but it is much cheaper in general in regards to living expenses such as food and travel etc. Add to that the extremely friendly and hospitable nature of Thai people and you have a very attractive living location where crime is low and a raised voice is very seldom heard let alone a full-blown argument. That would be the Buddhist influence at work. 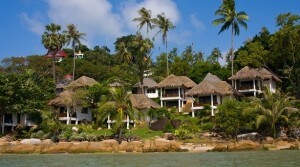 There are several options for relocating to Thailand, regarding living arrangements. You could rent a condo or an apartment; you could even rent a house, both of which are relatively cheap. However, the preferred option, especially for retirees or someone looking for a more secure, long term option is to buy a property. Buying a property in Thailand isn’t a simple process though and often leaves expats frustrated and confused as to which route to take. Foreigners cannot own land here. When you buy a property such as a house, you own the house but not the land it is on. You can own a room in a condominium outright. So with these factors in mind, one wonders if it is worth actually buying a house, if the land the house is on belongs to someone else. There are however, certain things you can do in order to get around the land ownership problem and I will list them below. You can purchase land with a 30 year lease with the option to extend this period twice over for a total period of 90 years. This option is done through a Thai individual or a domestic company and is one of the most popular methods of property purchase for expats in Thailand. You can set up a limited company, in partnership with a Thai and purchase the land through the company. One of the drawbacks of this method though, is that you can only own 49% of the company with the Thai national owning the other 51%. This is the riskiest option of the three as because the land is 100% in your Thai spouse’s name, if you were to have marital problems and get divorced, or fall out, you could end up losing the property. Only take this option if you are sure your Thai spouse can be trusted 100%. If you are not happy with the property purchase options you can still buy a condo and own it outright, therefore having the security you need whilst living here. There are some magnificent condominiums here and some very good deals around too so this is a good option for expats. Despite the land ownership issue, Thailand still has much to offer expats choosing to relocate here. A culturally rich and diverse country where the people value peace and harmony, and are also extremely community-minded, wherever you live, be it Bangkok or a more rural area, you always feel welcome. Thailand truly is the land of smiles.